01 Oct 2018 --- Today marks World Vegetarian Day and October 1 is the beginning of a month-long awareness program focused on meat-free eating, the growth and trends within the vegetarian space and how product development is growing in global markets. Plant-based alternatives to meat and dairy, vegetarian and vegan product innovation is abundant to keep pace with consumer demand. This is as more and more people are closely associating eating vegetarian (and vegan) with health, fitness, and well-being – all huge trends that are dominating the food industry on an international scale. Growth is not only driven by vegetarians and vegans but also by a large number of meat and dairy reducers, flexitarians, the lactose intolerant, and people, especially the Millennial demographic, who enjoy non-meat food. They are seeking new food experiences and always looking for the next big thing in terms of food trends. Sharing food through social media is becoming increasingly important and standout food concepts are thriving. It is a new age of diverse choice, and standing out on the crowded shelf has never been more appealing. The old stereotypes of how a typical vegetarian eats and who is likely to identify as one have long since passed with a new generation of food and drink going from strength to strength. Meanwhile, the growth is reflected in retail and the foodservice industry with extensive and exciting menu changes in restaurants and plant-based product placement alongside meat products in the aisles. And there’s still lots of room for innovation as demand for vegetarian and vegan shows no sign of slowing down and so providing vegetarians and vegan options makes clear commercial sense. In fact, gravitation towards plant-based diets in general, along with interest in vegan, vegetarian and flexitarian lifestyles as well as concerns over animal welfare, have together served to increase interest. NPD has subsequently seen an 11 percent CAGR for the 2013-2017 period, according to Innova Market Insights. Vegan products have become more mainstream and we now see a much higher prevalence of food companies moving straight beyond vegetarian to vegan. The plant-based food market is growing at double-digit rates and expected to reach US$5.2 billion worldwide by 2020, according to Nestlé. A significant proportion of this will be down to plant-based snacks. Innova Market Insights says that plant-based innovation is flourishing because of the growing consumer interest in health, sustainability, and ethics – the driving factors pushing plant-derived ingredients and products’ popularity. Plant-based product claims increased by 62 percent globally (CAGR, 2013-2017) with growth occurring on platforms such as plant proteins, active botanicals, sweeteners, herbs and seasonings and coloring foodstuffs. Research also indicates that four in ten US consumers increased their consumption of meat substitutes/alternatives during 2017, while the potential for the meat alternative market has never been higher as lab-grown start-ups are catching the attention of high profile investors looking to get involved in the cultured meat space. Read more about vegan innovation here. New Dutch consumer research published today finds that the over-65s are most attached to having a piece of meat with their meal. These choose to eat vegetarian once every two weeks, while people in their twenties and thirties choose to not eat meat or fish once or twice a week. This is according to research that Motivaction carried out for the book “This Book is Healthy.” The research bureau questioned more than 1,000 Dutch people about their health and lifestyle. In the book, more than 30 well-known Dutch people explain how they deal with health and vitality, including vegetarians and flexitarians Janine Abbring, Kay Greidanus, Hadewych Minis, Monic Hendrickx and Vincent Vianen. The Dutch eat vegetarian on average one day per week; women do this more often (1.4 times a week) than men (0.8 times a week). On the Dutch plate, meat typically appears almost five times a week on average and fish once a week. “For several reasons, it is good to eat less meat,” says Tijn Elferink, author of the new book. “Because of your health, the environment and animal welfare, it would be of great benefit if we all had one day when we eat less meat. And if you still eat meat, at least do not eat processed meat such as sausages, bacon and meat products. These products contain a lot of saturated fats, salt, and preservatives and are therefore unhealthy,” he adds. Organizers of the October vegetarian awareness month, the North American Vegetarian Society, say there has never been a better time to celebrate all-things vegetarian and are promoting a series of initiatives to mark October, one of which is to encourage people to pledge to “go meat-free” for the month. The Society encourages people around the world to explore the vast variety of tasty and healthful meat-free foods, and sharing information about the benefits of vegetarian diets with the people in their local communities. World Vegetarian Day originated in 1977 and was endorsed by the International Vegetarian Union in 1978. 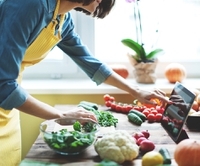 Companies are addressing health megatrends as well as the growing expectations of consumers around meat-free eating, with a wide range of vegetarian and vegan innovations. In July, for example, Hydrosol launched Sundogs, a vegan compound for sausages with sunflower & pea protein that can be used to make vegetarian or vegan sausages and is the first allergen-free alternative to soy and wheat. 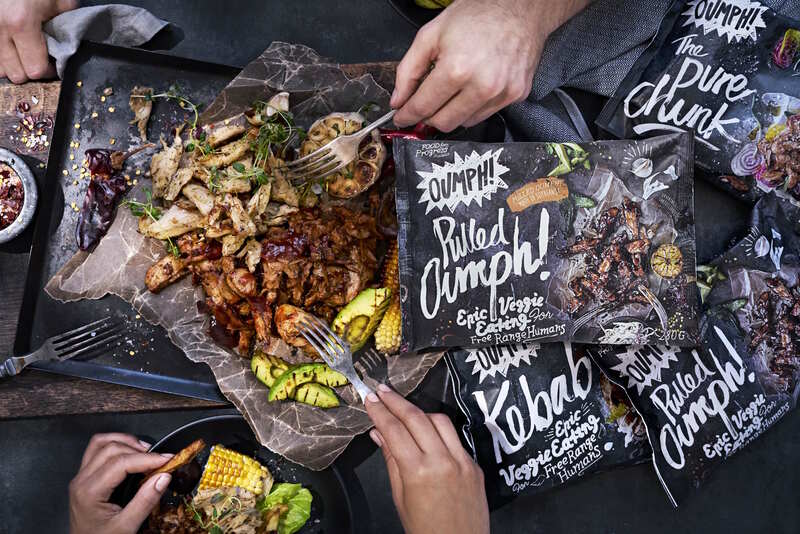 Another of the latest product developments comes from Oumph!, a meat-alternative product made with soy protein. awarded “Best Vegan Meat” by PETA UK. Speaking to FoodIngredientsFirst, Henrik Åkerman, Marketing Manager, Oumph! and Food for Progress, the Swedish company behind Oumph!, talks about the evolution of vegetarian, flexitarian and vegan trends and where do the growth opportunities are. “We strive to encourage more people to eat plant-based foods. We want to drive the plant-based category. It is, therefore, our ambition to create foods that appeal to vegetarians, vegans, flexitarians and meat eaters. Even if we are in a ‘free from’ category, we still believe that great taste is the key to success, and that is why our focus is 100 percent on making good plant-based food that has excellent taste as well as texture,” he adds. Åkerman explains how Oumph! is currently available, through its own set-up, in all the Nordic countries, the UK and Singapore and the products are available in several more territories via smaller importers and independent stores. The products made with Oumph! chunks, filets and strips, are all seasoned with unique blends of organic herbs and spices, says Åkerman. There is a definite push to grow the range. “We’re working on reaching a broader audience by developing products in more subcategories. We are currently working with a number of different innovation projects that we plan to introduce to the market in the next few years,” he adds. Oumph! Kebab Spiced – which is sold frozen through Tesco, Whole Foods Market and independent stores across the UK with plans in place to launch soon in Holland & Barrett – was recently awarded “Best Vegan Meat” by PETA UK. It’s also is on the menu in many restaurants and cafés, where it’s popular in salads, as a pizza topping as well as being served as a classic kebab. We recently reported on how Dutch snack manufacturer brand Mora has joined forces with De Vegetarische Slager (The Vegetarian Butcher). The partnership between the Dutch companies is a response to the growing number of consumers who are becoming vegetarian (750,000 Dutch people) or choosing to eat less meat (flexitarians make up two-thirds of the Dutch population, according to University of Wageningen research). which The Vegetarian Butcher has been working on for many years. “We have a great cooperation with De Vegetarische Slager. We quickly felt that we are complementing each other very well and that we can reinforce this in our common ambition to make the range of vegetarian snacks bigger and tastier,” Marcel Joosten, Marketing Director at Van Geloven tells FoodIngredientsFirst. “De Vegetarische Slager is an authority in vegetarian food which makes it credible from their own ideology. They have a great knowledge of vegetarian raw materials. Mora is the snack authority who knows how to make these raw materials into a tasty croquette and has the network, supply chain and marketing tools to make it big and accessible,” he adds. 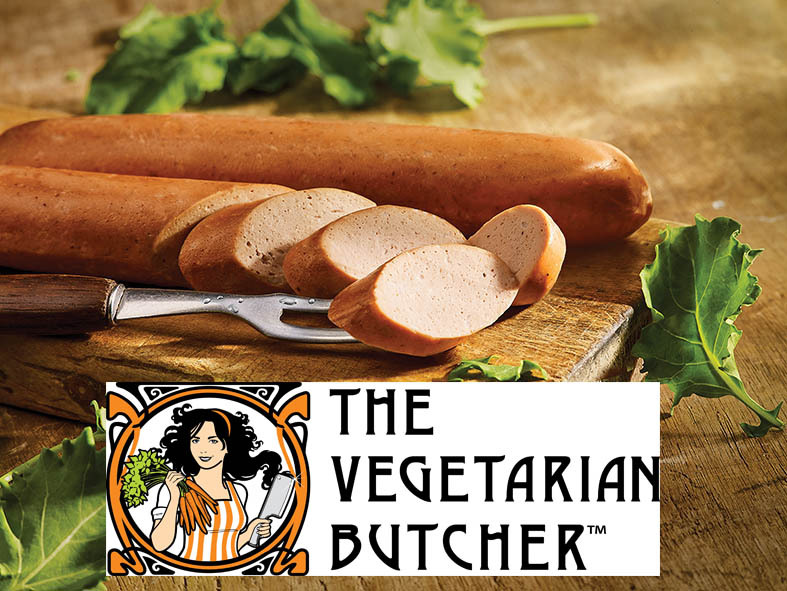 Today also marks the launch of a plant-based vegan smoked sausage with a traditional taste, which The Vegetarian Butcher has been working on for many years. The aim was to create a product that would taste great, even for typical meat eaters. In addition to creating a good flavor, it was a challenge to create a sausage with a “bang,” according to the company. The animal-friendly smoked sausage will be widely available in Dutch supermarkets from today (October 1).